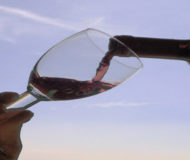 If you’d like to join an event where you can appreciate the real taste of southern Italy, you need to join Wine Festival 2012. This event will take place on Procida Island, from November 16 to November 18. The purpose of the festival is not only to proote Procida’s wine, but also encouraging people to take part to wine and food tours, pairing wine and food thanks to specific menus suggested by restaurant and bars. A lot of good music and entertaining for children and kids will cheer up the three days, while adults may follow tours and conventions. The Wine Festival 2012 is the perfect link between wine, food and nature, thanks to the beautiful landscapes and scenarios that the Procida Island donate. Description: This event will take place on Procida Island, from November 16 to November 18.